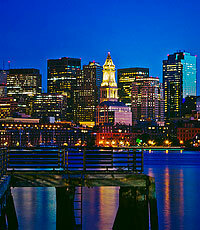 AGC’s 16th Annual Boston Technology Growth Conference will take place on Thursday, November 7th. Our conferences have become premier showcases for fast growing, predominantly private technology companies. Last year’s event had a record turnout of 220 companies and over 2,000 one-on-one meetings between CEOs and the 275+ strategic buyers, PE and VC professionals in attendance. These one-on-one meetings are the core of our conference series. The conference will also featured high-caliber panel discussions with renowned tech industry experts, and a networking cocktail event at the end of the day.